The next time you are in the mood to make a cheap and easy craft project, why not make a craft using paper plates? I have many craft projects posted, for paper plates and also styrofoam and plastic plates. 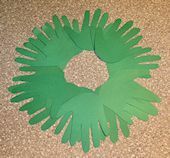 Use a paper plate as the base for this Christmas wreath made from hand prints cut from green paper. Follow these instructions, and you can make Santa's face on a paper plate. His beard is the advent calendar part of this craft, and that is made using paper rings. This cute little bat is made out of a tin can, and he has wings made out of a paper plate. A paper plate, folded in half, is the perfect body for this cute little bunny. Make sure you leave an opening in the top to put Easter treats into. This craft not only recycles a paper plate, but it also calls for recycling an orphaned sock and an unwanted CD. Use half a paper plate as the base for creating this rainbow out of colorful cereal. I used fruity loops, but you can use any kinds of colorful cereal. Construct a clock out of a paper plate, and you can help your kids learn how to tell time. Cut a hole in the center of a paper plate and then decorate it to look like an elephant's face. When you are ready to play with this puppet, simply slip your arm into the hole to be the trunk. This project sheet shows you how to create a fish bowl picture using a paper plate. You can fill your fish bowl with craft foam fish, seaweed made from thick yarn, and even small pebbles. 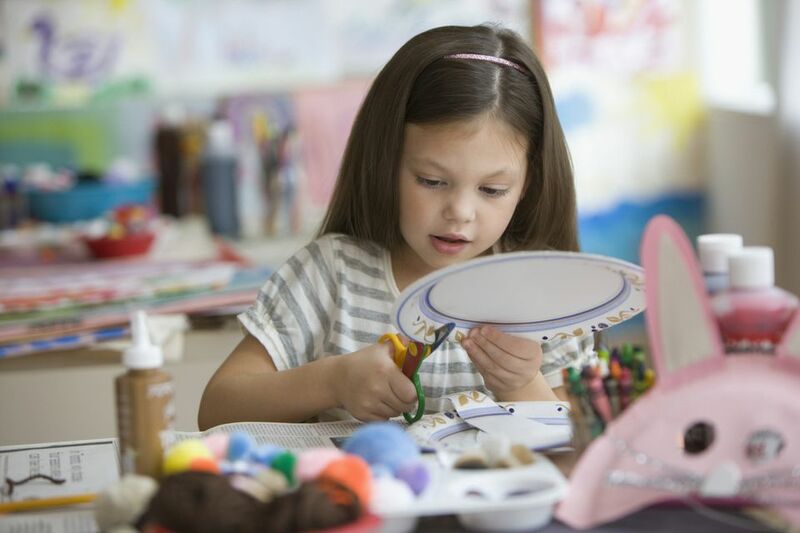 Use your imagination and two paper plates to make a colorful flying saucer. Foot and Hand Turkey Craft. This turkey is so easy to make using a paper plate as the body, paper hand prints as tail feathers, and a tracing of a shoe as the neck and face. To make this unique craft, draw a football player face on one paper plate and cut a football helmet face mask out of another. A visitor named Helen shared the directions for how she made a mobile using a paper plate. Paint a paper plate so it looks like a happy sun face and then make the rays using hand prints. Use a sturdy paper plate as a base for a hand print and then decorate it to make a unique wall hanging. Paint a paper plate so it looks like the planet Earth. I prefer a happy Earth, but you can make a sad face if you prefer. Follow these instructions and discover how easy it is to create a heart-shaped pocket using a few paper plates and some paint. A visitor named Cindy explains how her church group made these projects using paper plates and colorful hand prints. Learn how to make an adorable lamb using a paper plate, several cotton balls, and a few other craft supplies. By cutting fringe into the edge of a painted paper plate, you can easily create the lion's mane. Here is another craft you can make using a folded paper plate. Decorate it with bright paint and feathers to make this cute bird. Can you believe these flowers were made using the rim of a paper plate? Cut a face mask shape out of a paper plate and then decorate it to suit your mood or the theme of the party you are going to. Every member of the family will have fun making a turkey using a paper plate and scraps of construction paper. This projects sheet explains how you can use a paper plate to make a rainbow that leads to a pot of gold. Spaghetti and Meatball Hat Craft. You might not understand why anyone would want to wear a plate of spaghetti on their head, but this craft was made to go along with the Cloudy Wit a Chance of Meatballs book and movie. Spiral Snake Paper Plate Craft. This project sheet teaches you how to cut a paper plate to look like a fancy, spiral snake. If you love watermelon, you will love making this fun watermelon picture using real watermelon seeds.